The Bank of England made no changes to monetary policy on Thursday, as policymakers voted once again to keep interest rates at record lows to stimulate economic growth amid plunging consumer prices. The Bank’s Monetary Policy Committee voted to keep the overnight rate at 0.5 percent for the sixth year running. The size of the asset purchase facility was also left unchanged at £375 billion. The minutes of Thursday’s meetings will be released on March 18. Interest rates were first cut to 0.5 percent in March 2009 in response to the global financial crisis. The BOE is expected to keep the Bank rate at a record low for longer than previously forecast to account for tame wage growth and plunging consumer prices. 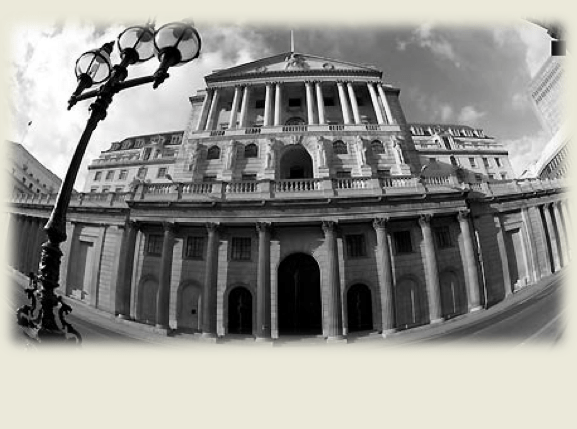 According to economists, the BOE will probably begin normalizing monetary policy in early 2016. Inflation is expected to remain low for the foreseeable future, possibly turning negative in the spring, thanks to plunging oil prices. Annual inflation in Britain dropped to 0.4 percent in January, down from 0.5 percent recorded in December. The Bank rate is expected to gradually return to target levels in two years’ time. Like other central banks, the BOE targets inflation at 2 percent. The BOE expects inflation to average just 0.5 percent this year, down sharply from the previous estimate of 1.4 percent. Consumer prices are expected to accelerate 1.8 percent next year before reaching 2.1 percent in 2017. Despite weak inflation, the economy is expected to gain momentum in the year ahead, growing at the fastest rate in several years. The BOE last month revised its growth outlook to 2.9 percent this year. The economy is expected to grow at the same rate in 2016, then 2.7 percent in 2017. Wages are also forecast to rise 3.5 percent this year after growing just 1.75 percent in 2014. The UK economy has gained traction in recent months. Manufacturing activity has expanded, retail sales have picked up and unemployment continues to fall. Growth had slowed somewhat in the fourth quarter, as GDP rose just 0.5 percent. The UK economy expanded 2.6 percent in all of 2014, the fastest rate since 2007 and outshining its G7 peers.